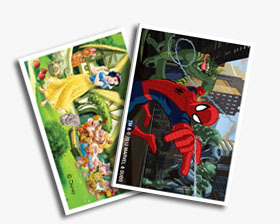 Classic cards may be collectibles and they can be printed in any size and shape. These cards can mirror color iridescence, meaning that according to the perceptive view angle, their colors may vary. 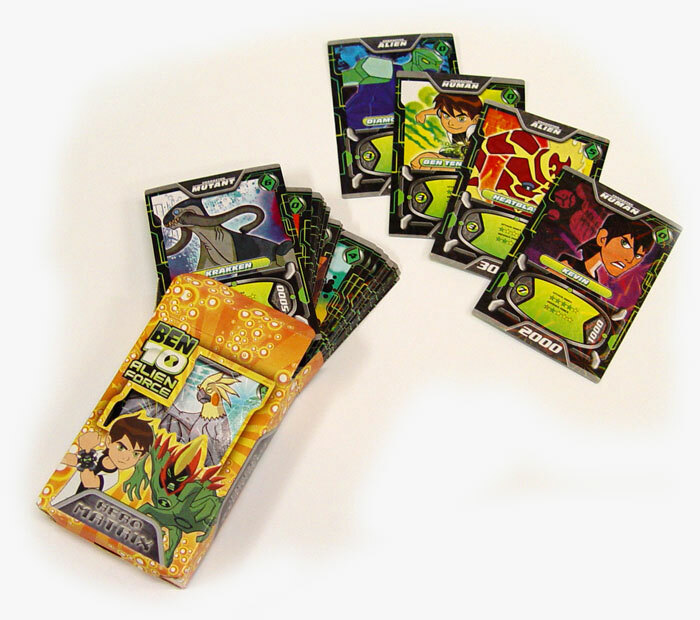 Moreover, these cards can be printed in various sizes and shapes, but also they can produce various effects. 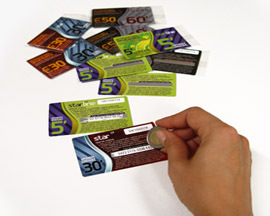 Cards over which a special treatment of glider material has been applied on their surface. This produces cards that are glowing according to their viewing angle. This effect is proportional to the amount of glider that it has been applied. 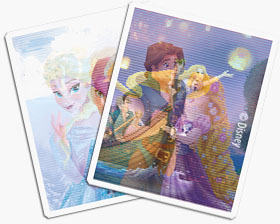 Cards made of composite images, which have the ability to move or change according to the viewing angle of the image, producing the feeling of depth. This technology allow us to achieve one of the following effects: 3D, Flip, Animation, Morphing, Zoom. 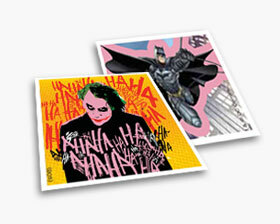 Cards that have been printed with special inks that can accumulate the light and glow in the dark. This card includes a unique serial code, a text or even a bar-code, In addition, it is feasible to specify a auto increment serial code for a set of card. When scratched they reveal the hidden content. They can be used for lottery games, quizzes, telephone calling cards, etc.